RAC Dental Laboratory have been used by our practice for over 30 years. 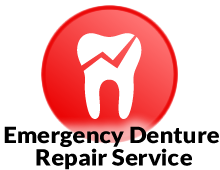 They constantly provide high quality denture work and an excellent service. Derek and his staff are friendly and approachable and provide support with challenging cases. We would highly recommend RAC Dental Laboratory to our patients and colleages. I must thank you for repairing my bite guard, and the concern you showed in making sure it fitted properly. All I can say is thank you very very much, as it now fits better than new. I wish your company every success it deserves, and you may use this e-mail to show customer satisfaction if you wish.